Chicago Mayor Rahm Emanuel, along with Angeles City Attorney Mike Feuer, along with Los Angeles Mayor Eric Garcetti, New York Mayor Bill de Blasio, and San Francisco City Attorney Dennis Herrera, announced that Chicago, Los Angeles, New York and San Francisco joined together to file an amicus brief in Flores v. Sessions, pending before Judge Dolly M. Gee of the United States District Court for the Central District of California, opposing President Donald Trump’s efforts to 1) engage in long term detention of migrant children and 2) eliminate all critical child welfare oversight currently being provided by state licensing agencies. 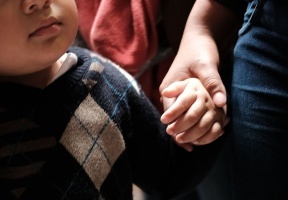 The brief supports the class of Flores plaintiffs, all of whom are migrant children, as they seek to defend against the Trump administration’s cruel and inhumane family separate policies at the southwest border. The cities’ filing asserts that forced family separation was a creation of the federal government’s own doing and not should serve as a basis for relieving the Trump administration from complying with the critical child welfare provisions in the Flores settlement. 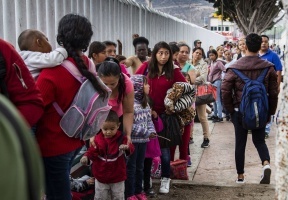 The only discernible purpose of the administration’s court action is obtaining the ability to house migrant children indefinitely while evading the crucial layer of oversight and accountability provided by the settlement’s requirement to use state licensed childcare facilities.